Two new handsets from Gionee have been certified by Chinese regulator TENAA. The two units are the Gionee GN9010L and the Gionee GN5001S. The former is equipped with a 5.5-inch AMOLED screen, carrying a 720 x 1280 resolution. 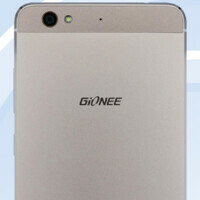 An octa-core 1.3GHz CPU is under the hood, and Gionee has seen fit to stuff 3GB of RAM into the phone. 32GB of non-expandable internal storage is included. TENAA says that the rear camera is 8MP or 13MP, with a 5MP front-facing camera to shoot selfies and handle video chats. Android 5.1 is pre-installed, and the device will be offered in Silver and Gold. The unit measures a svelte 6.9mm thin. On the scales, the Gionee GN9010L weighs 145.2 grams. The Gionee GN5001S offers a 5-inch screen with a 720 x 1280 resolution. A quad-core 1.3GHz CPU is on board, and 1GB of RAM is inside. 16GB of expandable storage is available, and those requiring additional memory can access the 128GB capacity microSD slot. The camera combo from back to front weighs in at 8MP/5MP, and Android 5.1 in pre-installed. This phone will be offered in Black and Gold. With the certification from TENAA completed, both of these models could be unveiled by Gionee soon. So these will be coming to the USA as BLU phones someday. I wonder if there's anything these things can do to stand out from the pack.